You could sit in front of your PC with the stopwatch and time how long it takes to move a 100MB file from an internal drive to an external one. But that’s tedious, prone to errors and not that accurate. 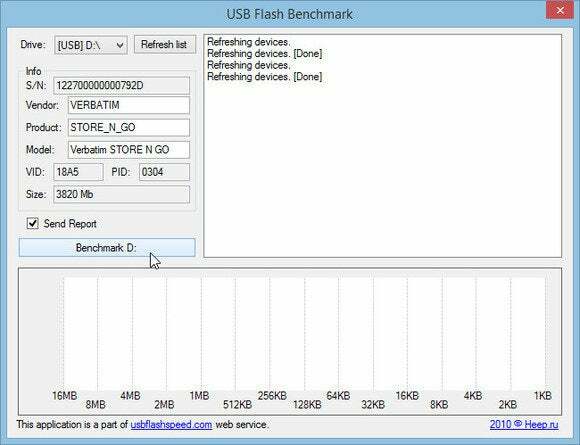 It's better to use benchmarking software, even though that isn’t perfect, either. Every test designed for benchmarking is going to show some biases of its designer—big files versus small files, reading vs. writing, and so on. But any good program will still tell you what drives are faster than others. 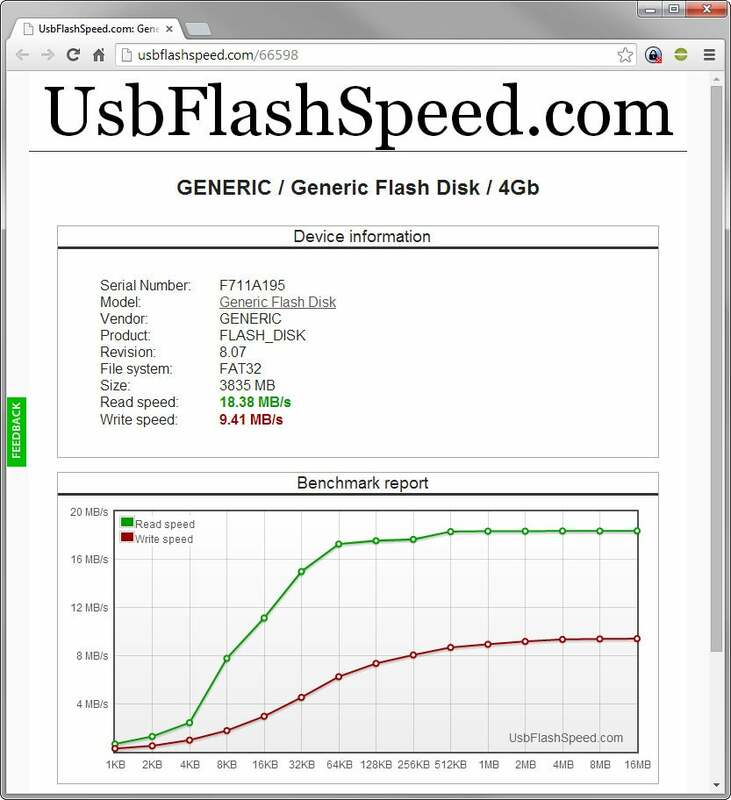 USB Flash Benchmark is not only free; it’s also portable—you don’t need to install it to use it. The user interface is busy, but not difficult. All you have to do is plug in the drive, select it, then click the relatively big Benchmark D: button (the drive letter may vary). When the testing is done, the information on screen is a bit overwhelming and confusing. Fortunately, a pop-up window provides a URL which will take you to your online results, including well-displayed Read and Write speeds. 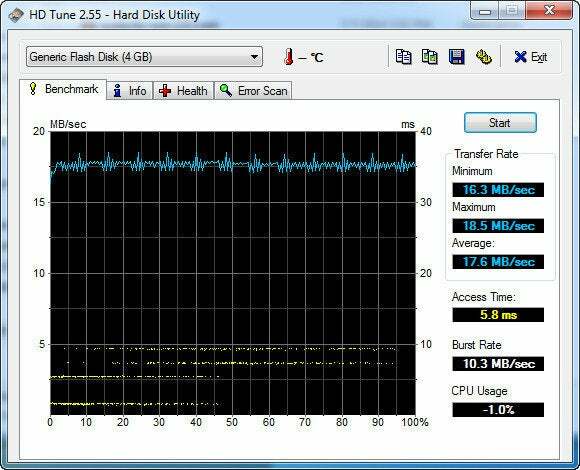 HD Tune is much more than a benchmark tool; it’s a full drive diagnostic utility that can test the health of your drive and scan for errors. It’s the free, less-powerful version of the $35 HD Tune Pro. After you’ve installed and launched HD Tune, simply click the Benchmark tab, select your drive, click Start, and wait. HD Tune provides only one number, without differentiating between reading and writing. As a rule, HD Tune’s scores are a bit lower than USB Flash Benchmark’s Read scores. CrystalDiskMark makes a good choice for true techno-geeks. Here, you can design your own tests. You can pick a file size, set how many times the test runs, and whether you want sequential copying, or use random blocks of three different sizes. If you’re wondering what all that means, this probably isn’t the tool for you. 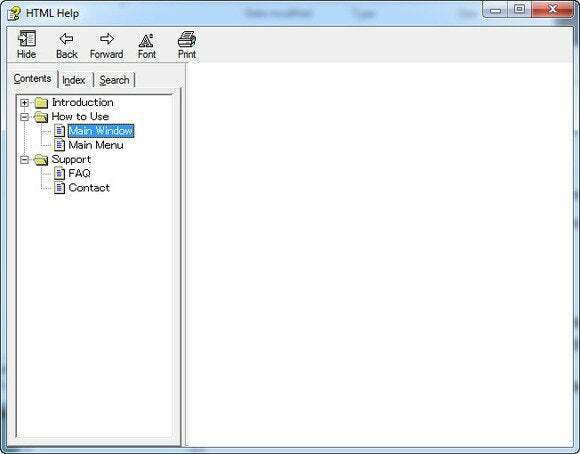 You can download CrystalDiskMark in installable and portable versions. But be warned: The installable version comes with potentially unwanted programs. The portable version comes with a blank (yes, blank) help file. One final reminder: Whichever program you use, remember to select the right drive before testing. I couldn’t figure out why one external hard drive was so astonishingly fast—until I realized that I was accidentally timing the internal SSD.